Treat spots and stains immediately. The longer you wait, the harder they are to remove. PRETEST spot removal solutions in unseen places like under a piece of furniture or sofa cushion. Apply a few drops and blot. If the color changes or transfers to the cloth, call us. 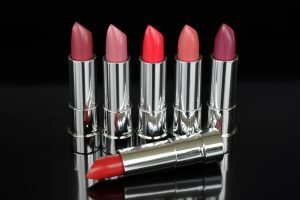 Cosmetics can include makeup, mascara, lipsticks, lotions and creams. They are mostly pigments in dyes, fats, waxes and oils. 2. Apply dry cleaning solvent*, blot.